Song of a Sphagnum Ground Cricket (scroll down for explanation and additional recordings!). 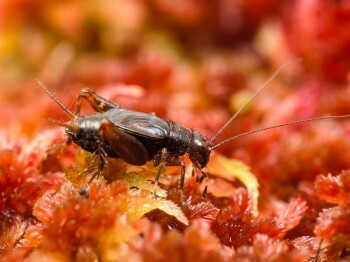 Not surprisingly, the Sphagnum Ground Cricket inhabits sphagnum bog lands, where it is often extremely common. The weak and high-pitched song is easily overlooked, but careful listening may reveal the constant din of multitudes of trilling crickets, especially on hot summer days in northern bogs. 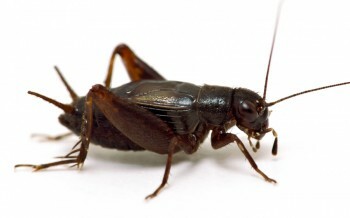 These tiny gray-brown crickets can be difficult to locate by their sounds. However, flooding a small area by pressing a hand into the sphagnum may reveal the little singers as they try to swim away. Actonel tablets come buy paxil online canada in different strengths number of milligrams per..
Song: The song is a series of very high trills at about 9 kHz, with each trill lasting about 8–13 seconds. The pulse rate of a trill is about 50 notes per second. Each trill starts softly and then gradually builds in volume, leveling off to full intensity about halfway through. Trills are separated by several seconds of silence. Sonogram of a Sphagnum Ground Cricket. © Wil Hershberger.